What Weight Fly Rod Should You Buy First? In this post I will discuss the basic fundamentals of a nymph rig for catching trout in not only the Guadalupe, but also any tailwater and freestone river that holds trout. You can take this rig anywhere, make a few fly adjustments to match the local bugs, and expect to be successful. This is all due to that a trout’s diet is primarily sub-surface, consuming nymphal forms of mayflies, caddis, midges, and numerous other aquatic insects. Occasionally the fish will rise to the surface during a hatch or spinner fall, but to continue feeding in between hatches the fish must also take advantage of what is right in front of it. Being that this is the Guadalupe, and a tail-water, and coming from a guide standpoint, the nymph fishing will tend to be the most productive. I can hear the roar of the streamer crowd now, and yes, streamers will work on the Guad. I will discuss streamer fishing for trout in a future post. Dry flies occasionally work too, in the right conditions. But again my experience tells me that nymph fishing is the most effective throughout the day. To cast this nymph rig you do not need a giant heavy rod. A 4 or 5-weight rod with a matched floating, weight forward or double taper line is all you will need. I recommend at least 9-10 foot length rods to help with mending line at a distance. First thing first, start with a fresh leader. There are usually some big fish in the river and it would be a shame to lose your fish and all your hard work put into your rig on an old, weak leader. With the flows possibly being higher this season I will pick a 9’ tapered leader, but choose your length according to the overall depth of the area you will be fishing. Depending on flow rate and clarity I will choose between a 3x-5x tippet strength. If the water is higher and a little off color then I can get away with the heavier 3x and when it is low and clear I will use smaller tippets like 5x. Carry extra tippet material in those same sizes to extend your leader back to length after fly changes or snags. Weight and depth are the next two important things and having the right amount can be very critical sometimes. You need just enough weight to get your flies into the strike area quickly, but no too much that you are snagging on the bottom. This will change with the speed of the current and how quick we need the flies to get down. In fast water I will use more weight just to get down quickly in the swifter flows, even if the water is shallow. In slower water use less weight so you’re not dragging an anchor. Carry an assortment of split shot sizes so you can adjust to different conditions. Depth of the river and the depth of the fish will also play a role in your weight selection, too. If you are using a strike indicator then this is an easy adjustment by sliding your indicator up and down your leader to get the right depth. Then adjust weights to make sure your flies are near the strike zone, but not snagging on bottom. If you are not using an indicator then this is done more by feel and experience. With all this being said, depth and weight are two things that I adjust first, and often, before I change fly patterns. On my guide trips I tend to use smaller weights, like size 6 shot, and add and subtract those small amounts to fine tune my speed of getting down. Fly selection is the next step to rigging, and again, here we are talking about nymph fishing. Most often on the Guadalupe we use a tandem nymph rig, which involves two flies; an attractor and a natural. These two, or more, flies are spaced apart about 15-20” apart in a standard nymph rig. The attractor does exactly what the name implies, attracts attention. I want the fish to definitely see this fly first. It doesn’t always have to be flashy or brightly colored, just enough to get the fish’s attention. The fish may not eat this fly, but now that its eye is looking in our fly’s direction, then along comes the natural fly behind. The natural is the fly we’ve matched to the hatch, or know the fish are eating, and this is also the fly I change most often. The natural is usually smaller than the attractor, and tends to be more bug-like. I also catch more of my fish on a well-matched natural. I could go on and on about exact flies, but that is the challenge of our sport. Besides, local fly shops, like Action Angler, will have the most up to date flies and current bug activity on the river. Asking a few questions and buying a few flies at the local fly shop can go a long way to your success! This has been a basic overview of a nymph rig for the Guadalupe. There are many other resources out there that dive deeper into the nymph rig with specific knots, indicator preferences, fly selections, and construction, and to become a well-rounded trout angler you should become familiar with all. Nymph fishing may not be as glamorous as a rising fish to a well-placed dry fly, but it can be effective and have its’ own cult following. After all you are still attempting to “match the hatch” and what’s available to the fish. As I began writing these articles the upper Colorado/Llano River Basins were devastated with slow, steady rain on already saturated grounds that funneled into the Llano and Colorado Rivers. Homes, boats, docks, and all manner of property was destroyed. The river raged through the Highland Lakes chain and into Austin, where water shortages were becoming rampant. Lake Travis filled to over 150% capacity overnight, beginning at a deficit of 85%. But such is life in the Texas Hill Country. As I have said many times before, it is feast or famine with the rain in the Hill Country. Floods break droughts, and the droughts give the flooding a pause. The loss of life and property can be unimaginable and heartbreaking. With the increase of population wanting to live on the waterfront and development too close to the watershed sometimes it can be devastating. The Highland Lakes dams were built to control the damaging and deadly floods caused by rain events such as these. The dams got a good workout last month, and so far have seemed to be doing their job well! It is hard to imagine what would have happened to cities like Austin, Marble Falls, or even Kingsland, had the dams to control the rampant flooding not been there. So what does the upper Colorado basin flooding have to do with Guadalupe trout season? Nothing. However, the same steady rains that flooded the Llano and Highland Lakes also fell in the upper Guadalupe watershed. Although the rainfall totals were less than they were a few miles north, they were steady and are slowly bringing up the level of Canyon Lake. The lake was only a couple feet below the 909’msl conservation pool level. Although not as much rain fell as did on the Llano, the Guad caught enough to bring this level up slow and steady enough to not disturb the thermocline (bottom layer of the lake where our cold water is discharged for the lower river). It has been several years since we have seen a nice steady flow rate going into our stocking period and “trout season” here on the Guad. This year is shaping up to be another higher than average flow year, and that in turn means better fishing all the way down to the lower stretches of the stocked zones. It’s time to dig out the waders, brush off the 5 weight, and get your nymphing game on point. It’s Trout Time in Texas, y’all! Before we go any further any further, I would be derelict to not mention anything about safety in the river with these possibly higher flows. GRTU, our local Trout Unlimited chapter’s website sums it up best so I have attached it here. Wading in any moving body of water depends on the Experience, Knowledge and Judgment of the individual and the Risk that person is willing to assume. Remember to wear and utilize safety gear such as: felt or studded wading boots, wading staff, wading belt drawn tight at the waist for waders, and inflatable pfd’s. • Flows below 100 cubic feet per second (cfs) have slow current and the river is accessible to most anglers. • Flows below 200 cfs have moderate current. A few areas may create fall down potential. • Flows between 200 to 300 cfs can be undertaken by most experienced waders. There are still areas that may be too swift or deep to wade. Inexperienced waders will have to be aware. • Flows between 300 to 550 cfs should be undertaken by only those who have experience wading swift water conditions. Preferably, you will have knowledge of the river bottom and would have local knowledge of the river previously. Much of the river will still be too swift and too deep to wade safely. The potential for being swept off your feet is high. • Flows above 550 cfs are unsafe to wade. Remember the Guadalupe is a fast flowing river. A fast current can be very deceiving and carry you down river. Always be cautious and wise about the river and its hazards. Stockings of trout have happened and more will continue in the next few months. 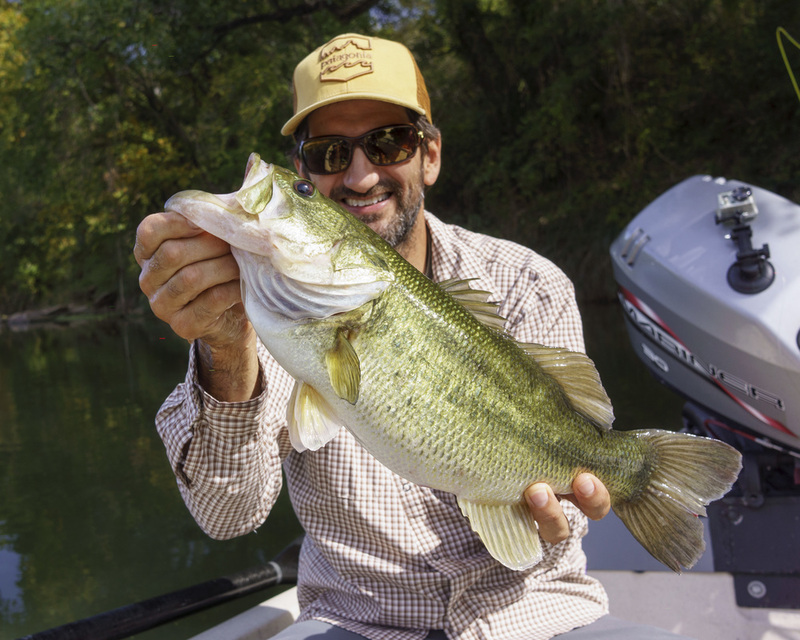 Over the next few weeks I will be putting out more of these blog posts discussing several things you should know about fishing the Guadalupe. In my next article I will get down to rigging, and will start with basic nymphing. Future articles will be generalized and include topics of other trout catching rigs, fish fighting and handling tactics, river access and etiquette on a crowded river such as the Guad. In the meantime, know the flows, carry a wading staff, be safe and go catch some fish! I wanted to share something with you that I'm pretty excited about. This past Friday (December 11) I took two of my favorite clients with Horizon Bank on a float trip on the Lower Colorado River (LCR). About ¼-mile from the takeout one of the anglers hooked a big Guadalupe bass that I quickly netted. We started taking pictures of the beautiful bass when I notice an odd growth up near its dorsal fin. Upon examination I discovered a tag covered in a layer algae, which I gently scraped away. That’s when the light bulb came on in my head and I realized this is one of the fish tagged in this recent Texas Tech/TPWD Guadalupe bass study that All Water Guides has been involved with. I took a bunch of pictures for documentation—as well length and weight—before we released her. On my way home to Austin I called Matt Acre, a graduate student at Texas Tech, one of the biologist who have dedicated the last 2-years to this study. I told him the story including the location and he could not believe what he was hearing. He stated that the particular type of tag was only used on 200 bass between Austin and Columbus Texas. He said there are literally thousands of Guadalupe bass every mile of LCR, so the odds of us catching one with a tag was astronomical. There are Approximately 100 river miles between Longhorn dam and Columbus—talk about a needle in a haystack! Here are a few pictures of the fish. The clients could tell I was pretty excited—to say the least. This is one more unique story from the experienced guides at AWG who have a lifetime of knowledge and experience on this gem of a fishery. Hope your weekend was as good as my clients and mine. 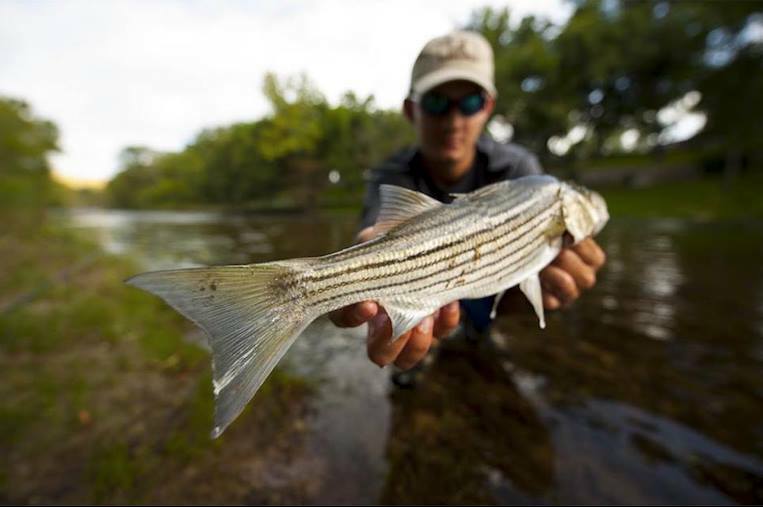 All Water Guides friend Brandon, owner of Sea Level Apparel wrote up a quick blog post about the striper fishing he got into after the floods and before the trout on the Guadalupe River. I asked him to tell me a little something about himself as an introduction. "when i'm not running SeaLevel, I fish" he replied, a complicated and profound man of many words it seems. One doesn’t immediately think of the Texas Hill Country when this fish comes to mind. The blistering cold winds and rocky shorelines of the mighty northeast are usually first to thought, along with surf rods and funny accents. Snapping out of that, lets head south. Way south. To 30 minutes outside of San Antonio. Here the Guadalupe River flows from its headwaters near Hunt, TX down to Sattler, TX where it forms Canyon Lake, and thus a tailrace fishery below its dam. While the main attraction here are the rainbow trout that are stocked by both GRTU and the state of Texas, there is a fishable amount of striper lurking in the deeper pockets. This summer, heavy rains rose Canyon Lake levels and forced the flood gates to be opened, washing in hundreds of striper in the up to 7000 cfs flows. The flows then dropped, and the striper became stuck in the deeper sections, providing you and I with some awesome fishing to be had. When targeting these things, I usually bring along heavier gear intended for saltwater. A 7 or 8 wt rod will do just fine, matched with an intermediate or full sink line. Leaders do not have to be anything fancy, and a 10 pound tippet will usually suffice. If fishing an area with boulders or submerged trees, you can always bump it up as necessary. As far as flies go, if the striper are feeding, whatever fly you throw will probably get hit. Some favorites of mine are the Casey Smartt’s Deadhead Minnow, OR Matt Bennett’s Lunch Money fly. As always the super trusty clouser minnow will work as it does for just about anything. Striper are a predominantly dark, harsh weather species. Cloudy and rainy days are usually the best bet, along with sun up and sundown being other key feeding times. Sunny, bluebird days may be great to fish in for you and I, but the striper most often shut down in settings like this. You’ll see them cruising around, but getting a strike is another story. In your face! That's Mr. Clouser to you. With the exception of a few 30+ pound fish lurking around, the majority of the fish in the Guadalupe Tailrace are small; we’re talking 15 inches or so and under. However, as you might know, striped bass are natives to saltwater, and they know how to bring a hit. In feeding mode they will charge a fly with abandon, strike with vicious intent, and fight above their weight class no matter how big or small. So - find a dark, cold, stormy morning, and go make yourself miserable for a few hours. When you see the splash, the flash of silver, and your backing screaming off of the reel, you’ll find a way to smile. We're going to be spreading the AWG love and propagating some propaganda in the next 6 weeks or so. Here's what we have going on. A few of us have charmed our way into positions of Patagonia pro staff-ness, we will be joining Adam and his crew for a viewing of "low and clear" and after the show were going to hang out, Lie about fishing and drink all there free beer. Free beer should be just about all that needs to be said on this one but its not. If you haven’t seen “low and Clear” this is a great opportunity to do so. Rumor is that poor ole Alvin and JT may be off to La La land to get punished by them big reds, in their absence Shea and Winston will be out at Sportsman’s Finest talking up all things on the fly, answering questions (hopefully) and most likely lying a little (we're talking fishing here). No free beer but this will be a fun event nonetheless. Please come say hello. We'll have our boats out and will do a little casting and demonstrations on what we've learned guiding clients over the years. Absolutely no story telling! Jef runs a tight ship out their and shenanigans will not be tolerated, that said. We will be there sucking the class out of the joint like a black hole…or something. In all seriousness the Orvis Austin Folks always put on a good event (free beer in the past) with some pretty interesting speakers speaking about interesting things. AWG has been invited up to Plano, we’re really not sure what this event will be like but we're going to be there with bells and whistles. If you're in the Plano area pay us a visit. We will be doing a demonstration much like the one at Sportsman’s finest for the Dallas area folks. See ya on the water or at one of these events. A not so "fishy" report from Broken Bow, OK. From a while ago. I started this a while ago; I remember where I was when I stopped typing. This blog post was going to be about a fun trip I had just returned from with Jef and Clay. As I typed it out that Saturday morning Alvin’s early phone call stopped me from finishing it mid sentence. This still will be about an awesome fishing trip to and awesome place with awesome friends, Alvin’s phone call that Saturday morning was the news that Clay had died the night before, it will be a little different than the original was going to be. Over the last 2 years (I guess) Clay had been pretty tied down with school. The paramedic program Clay had completed (I speak from experience) ain’t no joke. I very clearly remember being told early on that if you wanted to complete this 5-semester program, put everything on the back burner, friends, fun, hobbies, etc, etc, I did it and so did Clay. Clay had come through the pipeline and had been working as a Medic, we took a fishing trip that we had been talking about for as long as Clay had been in school. We were trying to figure out a trip to New Mexico when Jef mentioned broken bow. Broken what I asked? Beavers Bend State park is a quick 6-hour drive from Austin. Jef set it all up and a few weeks after first talking about it we were cooking up IH-35 headed towards Oklahoma. There are people that know a lot more about this place than I do but I’m typing this and “they” aren’t. Maybe they would argue this but there was nothing tricky about this stream. For what it is spillway creek is awesome as was the fishing. This is a man made 4-mile stretch of water with every type of water imaginable, Pocket water, Fast water, slow water, undercut banks, and big…really big fish. I’ll qualify how good the fishing was with this. The fishing was so good we didn’t take a single “grip & grin” we all had cameras we just never got around to pulling them out, we were too busy catching fish. Clay and I were fishing a hole when the fish started rising; I sat on a rock and heckled Clay as he caught one after another for about 30 minutes. Normally we would have fished it together taking turns, being up there for a few days allowed us to relax from our “pound it” mentality. I’m happy I sat on that rock and gave Clay a hard time. We fished together and alone. We fished Streamers, Dries and nymph’d. The fish were where they were supposed to be and it was magnificent. We fished 3 days and 2 nights. It was cold, ice in the guides cold. The days reached the lows 30’s and the nights dropped down into the teens. The cabins we stayed in were awesomely adequate. We ate like kings every night, then would settle in around the fire for cigar or 2 afterwards. Just the ones we would take with us..
Clay was in rare form, or I should say back to his old self. Without the stress of school and now employed he was happier than I’d seen him be in a long time and he kept us laughing the whole time. Take from this what you will, Go check out Broken Bow, Ok. Stay the night and bring a buddy. The fishing was really spectacular and we didn’t really work that hard at it. A little while ago I bought a project and I'm about to start the process again. Last time I had a lot of requests to write a build report and not having the platform to do so I used FB which was me just posting a lot of pictures with out much reporting or content. This time around I plan to use this site and as this begins to take shape write about it. 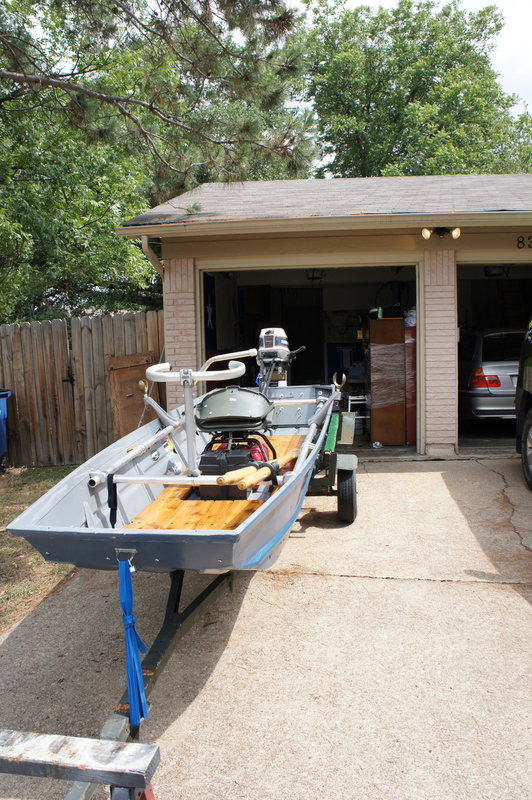 So…the last project was a Jon or John boat with an outboard jet drive. From now on I’m just going to refer to these boats as Jet-Sleds. My first Jet-Sled (V1) was a riveted Alumacraft 1432 (14 feet long and 32” on the bottom) with an old Evinrude 25 hp. I really was Just buying the engine for another boat so I really didn’t care if the boat leaked (it did) or what condition it was in (rough). If I could get it for the right price (I did) the engine wouldn't even need to run (it didn’t). I had done enough research and talked to mechanics, friends and who ever would listen. We were confidant that if it didn't run 800 bucks would fix that (it did). The boat was reborn, used for a while with friends then sold when I ruptured my Achilles tendon, which was fine, I wasn’t in love with the boat. She was a handful on the water and in no way conducive to guiding. She did however run like a scalded dog and had a unique look. I plan to fix the “handful” problem with waterline and will most likely shoot for the same look and outfit the V2 Jet-sled in the same manner. I really enjoyed the last project and tolerated (very well I must say) all the “dude, when ya gonna be done so "WE" can go fish in it” or “dude, your OCD”. This project will most likely take longer. 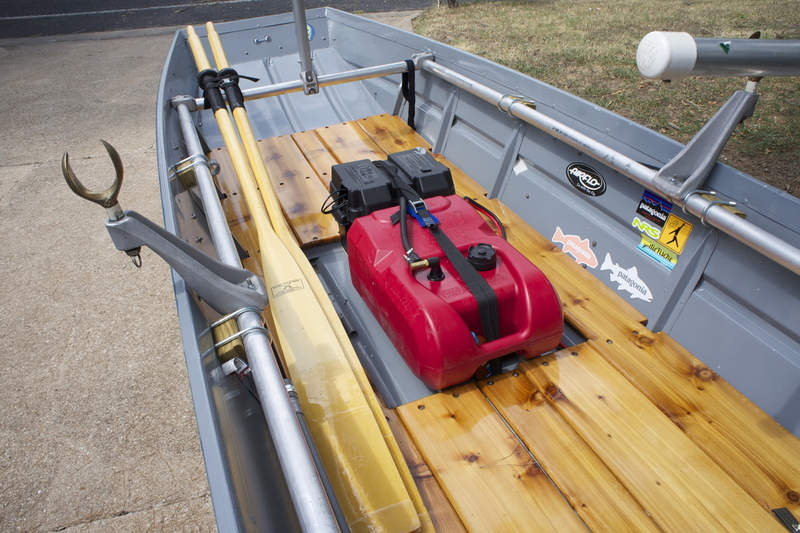 Jet-sled V1 came as a package deal…Boat, Motor and trailer, at present time I have none of what I need accept a clearer understanding of what worked and what didn’t, that and a line on a 40/30 Yamadog. Poppy supervising while I work, She's 18 months now so this wont work. Enjoy, tight lines and shallow running boats. One of the many attributes of fly fishing lies in the simple beauty of handcrafted gear commonly found in fly shops. Fortunately some companies continue to make a name for themselves by producing these finely crafted goods and products. Accordingly, whether it’s hand-tied flies or a custom rod, fly fisherman seem to have always coveted these artisan made goods. Over the years I have had the luxury and opportunity to own many great hand-crafted fly fishing products—no matter the cost or the sacrifice. These cost were always justifiable, usually qualified as, “a legacy purchase to pass on to my grandchildren”, “one-of-a-kind”, “a-dying-art”, etc. When I was younger, single, and childless I could always find a way to afford those expensive aforementioned purchases and never regretted it one bit. Now I’m older, a bit less selfish, and married with kids who always seem to be needing braces, glasses, blank checks for after school activities, and a long list of other expenses. Frankly, it’s getting harder to justify buying expensive fly fishing gear or any gear for that reason. Fortunately, when you buy the best it seems to last forever and I want for nothing—well almost nothing. For the good part of a decade — right about the time my second daughter was born — I have been wanting a hand-crafted landing net for my guiding. I have made due with a myriad of so-so mass-produced nets that never seem to hold up and always fall short of my expectations. Disclaimer: I am also very hard on my equipment. It’s been said more than a few times, “dude… you could brake an anvil!” As a result I usually am disappointed by mass-produced and poorly crafted gear. A few months back I asked my good friend Jeff Robuck if he wanted to go on a float on a local river. Jeff was in, however, he made it clear that he wanted to do some wading in order to test out his new net. Once I heard net I was all ears. You see, Jeff is a very talented wood worker, sculptor, and world class craftsmen. 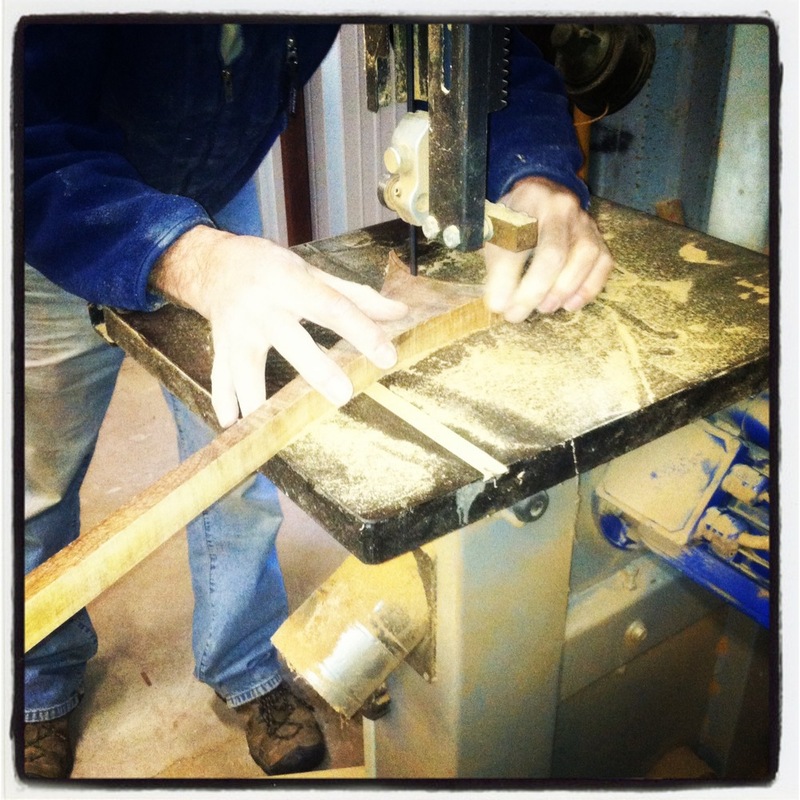 How many of you reading this have ever built a bamboo rod, an electric guitar, custom furniture, countless cabinets, etc? My guess is that your answer is along the lines of, “nope”, “never” or “once, but it was a disaster”. Well, in Jeff’s case he has done it all and always better than most. I have friends that are richer than Jeff but few are more talented. When he showed up to go fishing that day his net was one of his own creations, a true one-of-a-kind, beautifully crafted, and most astonishingly, it was the first one he had ever built. I have seen a lot of great nets in my day and this one was a beauty and near perfect. I remember thinking that net is too beautiful to ride in the back of my truck. We had a heck of a day fishing and his net got a work out — especially when he caught a nice 20” hooked-jawed rainbow. It was that giant fish that convinced Jeff that he needed to build a much bigger second net for himself. On the way back from the river Jeff reflected on the day and all of the great days we have shared in my boat over the last several seasons. All I could do is think about that damn net and how he could craft something that beautiful without previous knowledge of net building, no plans, or a jig to go by. Finally, I had to ask the unthinkable, “Hey Jeff, could you build me a landing net and what would it cost?” His answer floored me, “Yes, I can build you a net, and it won’t cost you a dime.” I insisted that I must pay something. I didn’t have any money but had a hunch that I could talk my wife and daughters into buying it as a Christmas/birthday/anniversary/father’s day gift. Jeff replied, “Yeck no, you take me fishing and I want repay the favor”. He then added, “You can help me build it and then it will have even more importance to you.” It’s funny that Jeff would even think of involving me in this process. 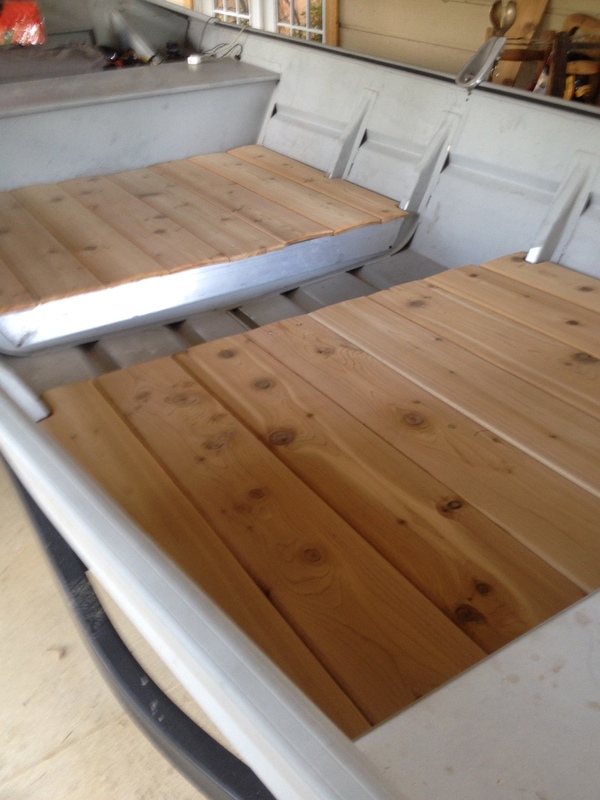 On several ocassions he has seen firsthand my poor wood-working skills on more than one ill-fated projects ranging from rod racks to floors for my raft to a bed for my truck. All were laughably none were successful. On a warm winter day last week and a rare day off I went over to Jeff’s workshop and began my apprenticeship as a “net builder in training”. Upon my arrival he had already traced out a 54” long landing net based on his recollection of our previous conversations. He wanted my input all I could do is smile and reply “it’s freakin' awesome”. 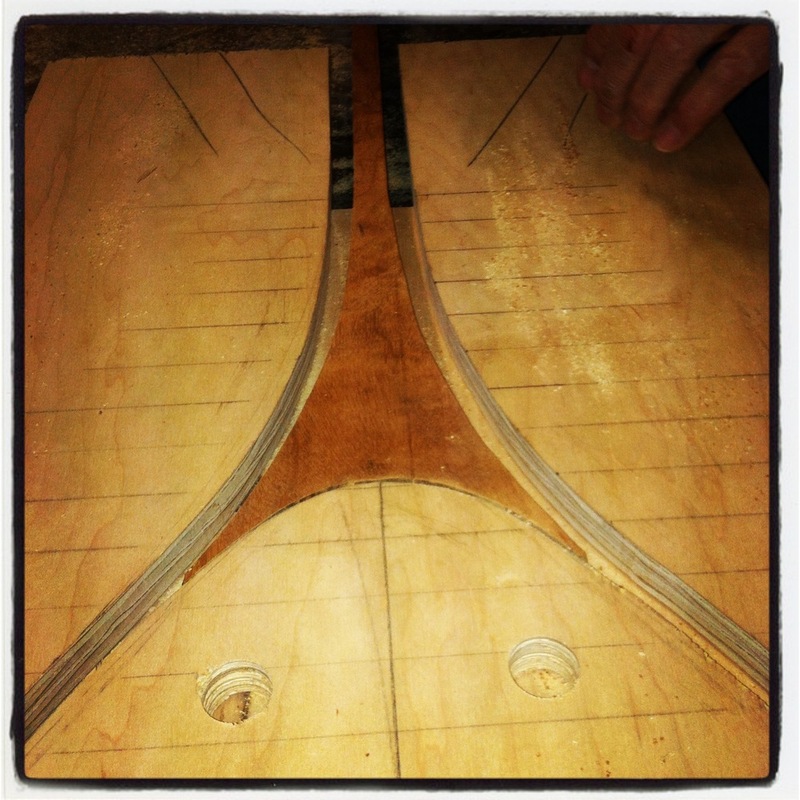 From there we proceeded to make the plywood jig that would house the strips of teak and Brazilian tiger wood. 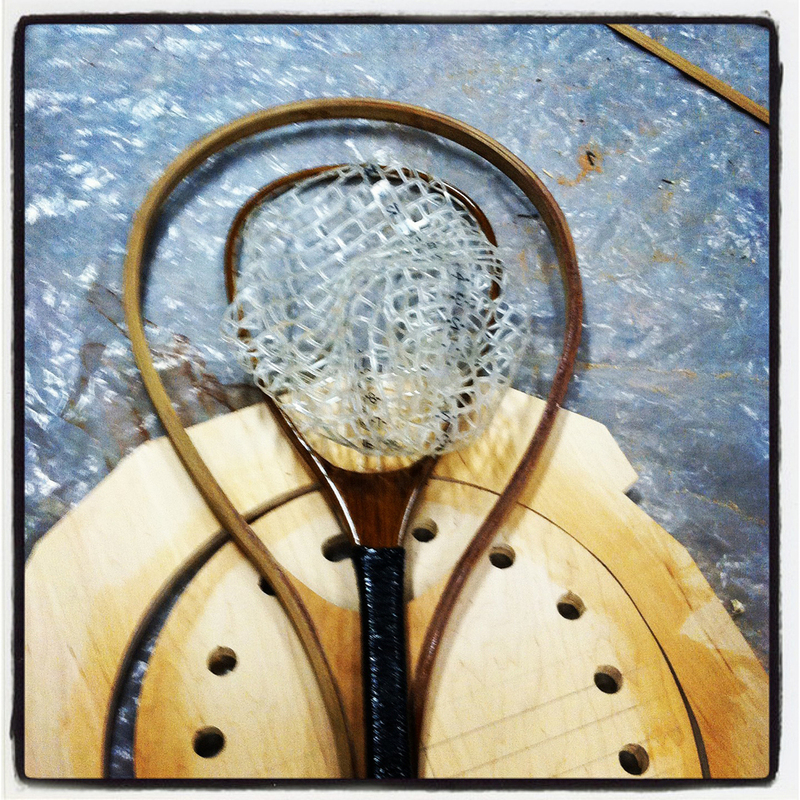 After cutting all the components and a dry-fit in the jig it was time to mix up the epoxy and start clamping up the net. For the next 72 hours time seemed to stand still until I received the text from Jeff containing the image of “the net” out of the jig and ready for routing, sanding, and spar varnish. Fast forward to the day of the Super Bowl (AKA: Floyd Mayweather’s Last Day as a Millionaire). My full-day float trip had turned into a half-day trip due to my client’s kiddo’s frozen hands and feet (remember I guide in Texas — not BC or Michigan — and we aren’t built for temperatures below 30°F). Heading home from the river early I picked up the phone and invited Jeff over for my not-so-famous turkey chili, beers, and the big game. Jeff insisted—as always—on bringing something and I insisted back that we needed nothing. In true Jeff Robuck fashion he didn’t show up empty handed. In walked Jeff with the most beautiful landing net I have ever seen, which turned out to be the best part of the Super Bowl. In a few years none of us will remember that Superbowl, but mark my words, I’ll remember that Sunday as the day I first laid eyes on my landing net. Like all of you, I will always remember and appreciate those special one-of-a-kind, hand-crafted, artisian-made goods that someone somewhere took the time to build and cared enough to craft. In the end, handcrafted fly-fishing goods are worth every penny and are a longstanding tradition of fly fishing that is worth preserving. 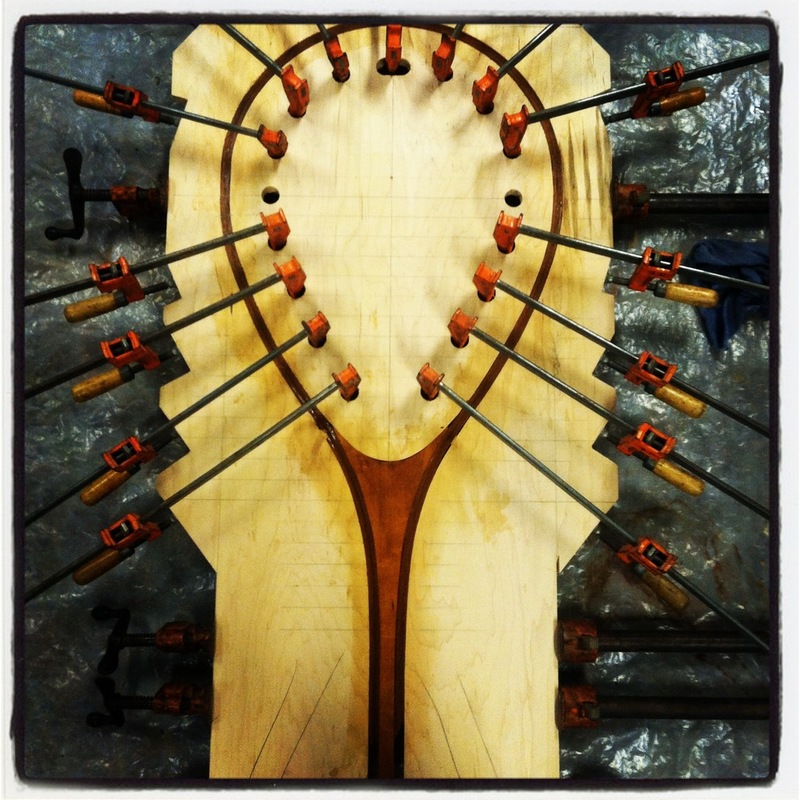 Jeff Robuck might (I repeat, might) build you a net, a bamboo rod, or even a custom guitar for the right price—the price might shock you but the end result will truly amaze you. It’s hard to put a price for a one-of-a-kind work of art that you will enjoy for a lifetime and more. PS: The Landing net is now getting spar varnished and the clear net attached. Hoping to have it on the boat by this weekend. Fingers crossed!